Chithma Gunawardana is now a college sophomore studying accounting and marketing. 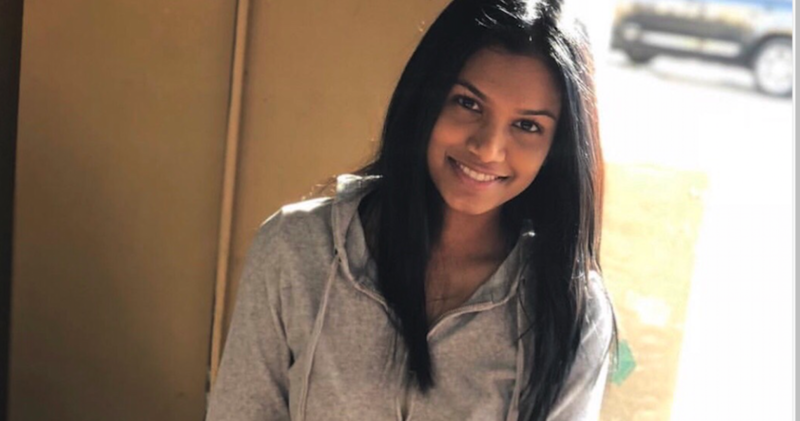 From spending her very early childhood on the island nation of Sri Lanka to moving at the tender age of 8 to the suburbs of New Jersey, Chithma Gunawardana has indeed experienced dramatic change in her life. She has also realized significant achievement: Gunawardana taught herself how to read and write English and is now a college sophomore. Helping her to realize this objective — and providing her with a taste of college life and learning as a youth — was the Women in Engineering and Technology Initiatives FEMME Program, coordinated by NJIT’s Center for Pre-College Programs. FEMME encourages post-fourth-grade through post-ninth-grade girls to explore science and technology fields such as environmental engineering and computer coding. Its intensive summer component includes classroom discussions, laboratory experiments, projects and field trips. Gunawardana and her family moved to the U.S. in 2007 after her mother won a green card through the Diversity Visa lottery, settling first in Union City and then in Bayonne in New Jersey. In Sri Lanka, her mother was a teacher and her father was in the army. Following their migration to America, they got jobs cleaning and working as a cashier, respectively. “In order for me and my siblings to get a better education, my parents gave up their careers,” Gunawardana said. “Coming to the States was hard. We didn’t know English and my mom was pregnant with my sister… Then after my sister was born, me and my brother took care of her while my parents worked. “Going to school wasn’t easy either for me. I got bullied. I always came home crying wanting to go back to my country, but seeing my parents struggle for me and my siblings only motivated me to do better,” she added. And persevere she did, graduating from Bayonne High School and currently studying accounting and marketing at Rutgers University-Newark. Her brother just completed NJIT’s computer engineering bachelor’s program. They are first-generation college students.